Mental illness – a love letter . . . I never thought I would write a blog or anything that would begin with the words “Thank you, Jesus!” to anyone. For much of my life, I truly believed that he was a figment of my delusional mind and that he never even walked this earth. I was cutoff from him – an agnostic, an atheist. I also bought into the belief that I was irrevocably mentally ill at three horrible junctures in my life; and, I bought into the belief that all scourges and aspersions that I assigned to myself through myself and others were, in fact, true. I was, in my mind, incurable. I was living a mind of paralysis. Entombed by guilt. Today, I can say — it was all a sham of my mind. I chose that script, and now I am erasing it. The guilt and the fear and the anger and the shame. It was all in my mind — not anyone else’s. And, the story of that is over. So, this is a thank you letter — an honoring — to the caretakers and families of those who are diagnosed with a mental illness. It is also a letter to say that there is “another way” because every being who exists on this planet (except for a rare few) are thinking with a dual thought system. One is false. The other is true. And, it took me a long time – a very long time to find that out. I can give you a short cut . . .
“Nothing real can be threatened. Nothing unreal exists. Herein lies the peace of God.” In other words, fear is false — all of it. (It is unreal — it is the great delusion of this world.) Love is truth — all of it. Thank you, too, to all the doctors and nurses of psychology and psychiatry who came before me who knew that the world we live in was a false world (ego) and took the large leap of faith to pull together and save the people chained to mental hospitals and prisons. You are all the lights of the world. You got it. We can be in this world but not of it — just like Jesus. 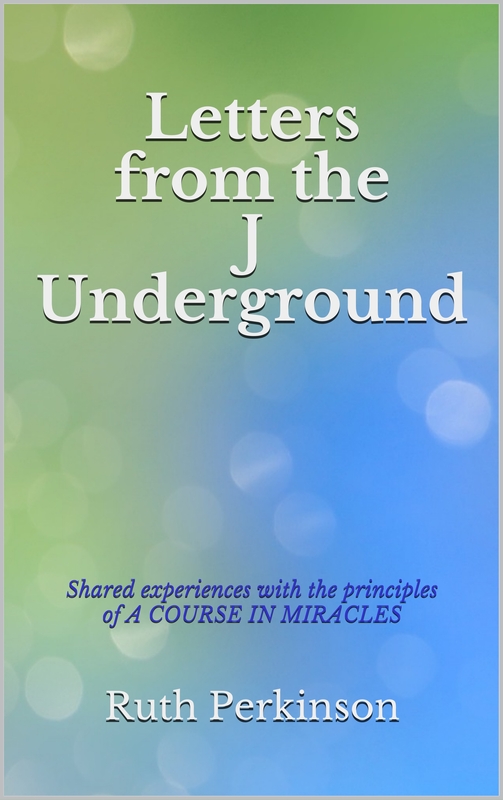 All of the delusions and psychoses I experienced at those three junctures have been healed. Not by a pill. Not by a therapist. But, by me. I am the ruler of my mind and I rule it with only one other – the thought system of love: the thought system of the Holy Spirit. It is the same thought system that Jesus used 2,000 years ago. And, he is . . . *drum roll*. . . the author of A Course in Miracles. In it, he explains the dual nature of the world we live in at the level of the mind. One thought system is false – fear or the ego. One thought system is true – love or the Holy Spirit. The only way “out” of this world is to choose (free will) either the ego or the loving thought system of the Holy Spirit. Only one, in the end, will work. Guess which one? I want to thank, too, the professors of psychology at Columbia University – Helen Schucman and William Thetford for doing a great service to humankind. Even though Helen was scared at first, Bill helped hold her up and she, Helen, channeled the Voice of Jesus over the course of seven years — 1965 to 1972. It was published by the Foundation for Inner Peace in 1976. I was ten years old — a little girl who would one day need their great work. God bless them both. I know now that Jesus never left us. While his body is no longer here, he is still in constant communication with us through our decision to choose our right-mindedness over our wrong-mindedness. He exists on the level of the mind because that is where all of the healing needs to occur. So . . . so long aspersions of sickness, you are no longer needed to run my show;) Thank you, but no thank you. Time to let that story and that time — go. I am not a victim of this world and neither are you. I am saner now than I ever have been for two reasons. The love of my understanding family and also the fact that I now know that I can heal my mind through the power of love and forgiveness. After having meticulously studied A Course in Miracles, I am now nearly medication free and am living the sanest life I have ever lived in 49 years. And, fear, my friends – fear is . . . over. I am no longer afraid of death or any sickness of the mind or body because I know that it is not true. They, like money, are false idols. The false, unreal mind of the ego wants us to believe that all of this flim-flam of politics and war and money and fame and power is true and it makes us special. We are NOT special. We are all the same. Holy sisters and brothers — innocent and loving. Not through words — enough of those already (I say this *smiling*). But, truly, through authentic forgiveness and prayer — the medium of miracles. And, all of it is done on the mind level. That is, the thoughts we have. There are only two thought systems and, again, only one of them is true. The thought system of the Holy Spirit or that inner voice of kindness — the teacher we all have. Thank you, Jesus. Yeshua Ben Joseph. You are a man no longer, you are one with God. God bless us all as we find out that we have lived a journey that has no distance. We walk in dreams — safe at home in heaven. All my love and gratitude to you — the one who reads this and is helped. 2 Responses to Mental illness – a love letter . . .